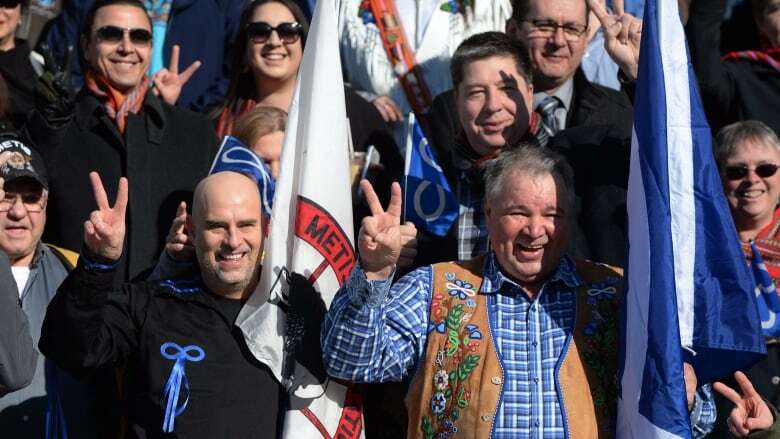 On Thursday, the Supreme Court of Canada ruled that tens of thousands of Métis and non-status Indians are now the responsibility of the federal government. Métis writer and educator Chelsea Vowel breaks it down and helps us make sense of the ruling. On Thursday, the Supreme Court of Canada ruled that tens of thousands of Métis and non-status Indians are now the responsibility of the federal government. Immediately, questions swirled about exactly what this landmark decision means. Métis writer and educator Chelsea Vowel breaks it down and helps us make sense of the ruling. The Daniels decision classifies non-status Indians and Métis as "Indians" under section 91(24) of the Constitution. This clarifies that both groups are a constitutional responsibility of the federal government and not the provinces. Non-status Indians and Métis still are not governed by the Indian Act. Non-status Indians and Métis did not just become "status Indians." The federal government will still attempt to limit its responsibility to status Indians living on reserve, which is where most of the (inadequate) federal funding goes. Non-status Indians and Métis do not suddenly have the right to live on reserve (if they do not already have that right). This decision does not ensure that non-status Indians and Métis will have new federal funding opportunities. That is going to have to be negotiated for, or fought for, with the federal government. The first thing people must understand about Canada in general is that the Constitution Act of 1867 divides up powers between the federal and provincial governments. Most folks learn this in high school but don't necessarily remember it forever. The provinces have power over things like the solemnization of marriage, property and civil rights in the province, setting up municipalities and so on. The federal government has power over things like the Armed Forces, banking, criminal law, etc. Responsibility and funding for things like systems of education, health care, social services, provincial infrastructure— roads and water and waste management, for example — are generally a provincial power. There is an important exception, though, in section 91 (24) of the Constitution, which is that the federal government is responsible for "Indians and Land Reserved for Indians." The federal government must provide to "Indians" the services normally provided by the provinces (education, health care, social services). So, you have provincial systems, which tend to be available to everyone living off-reserve, and you have federal systems, which are focused on reserve populations. There's lots to say about how inadequate those federal systems are, but let's move on. The federal government has a long history of trying to interpret section 91 (24) to mean they only have responsibility over Indians on Indian lands. The Supreme Court keeps insisting these are two separate things, Indians and Land Reserved for Indians. "Who is an Indian" then becomes important, because if you are an Indian, the federal government — not the provinces — is responsible for you. The first group to clearly be "Indians" are those who come under the Indian Act, and are status Indians. The second group to be defined as Indians under section 91(24) of the Constitution were Inuit in 1939. This obviously did not turn Inuit people into First Nations people, and Inuit people did not become Indians under the Indian Act. It was just about assigning responsibility; in this case the federal government, not the provinces, is responsible for Inuit people. Non-status Indians are those who are not considered Indians under the Indian Act, but are still obviously aboriginal peoples. The Métis are another group of aboriginal people. For years and years, both groups have been tossed back and forth like a hot potato between the provinces and the federal government, each one saying things along the lines of "they're your problem, not ours!" This has left non-status Indians and Métis in a sort of legal limbo. I know that doesn't answer all the questions out there. There is still a lot to be figured out after this decision. People are understandably confused, so I hope this helps a bit. A version of this article was initially published on Chelsea Vowel's blog, âpihtawikosisân.com. It has been edited and republished with permission.